Christian Dior Higher Energy created for the person who strives for new sensations. 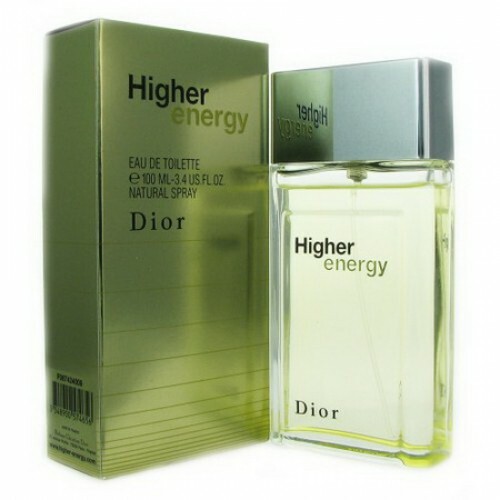 Christian Dior Higher Energy 100ml. Eau De Toilette designed for young citizen. This multifaceted manly fragrance created for the person who strives for new sensations. Higher Energy - a delicate harmony of fresh, woody and spicy notes. Discover the world around you with the Higher Energy. Perfume begins hints of juniper and grapefruit goes to the "heart" of nutmeg, pepper and hints of incense and ends vetiver, sandalwood and musk. To open the senses, strengthen and awaken emotions in men the desire to go further, perfumers legendary Christian Dior House managed to create a masterpiece by the name of Higher Energy. This fragrance perfectly embodies the challenge and splendor of time. Heady cocktail encased in a glowing, thin, simple and strong bottle. Transparency of the glass symbolizes truth. Green glow that gives men the truth entirely new and unpredictable shape, resembling the world of the city, consisting of challenges and adventures. Action of this fragrance like electric shocks. Energy passes through the body and makes the heart beat faster. Aroma Higher Energy - satellite brave and strong men capable not only to understand his way, but choose it. This fragrance is delicate mirror as a love dialogue between a man and a woman. Aroma Higher Energy - vertex art of perfumery. This is an energy and physical flavor, aroma, embodied the action and energy, strength and male beauty, the transience of time and the power of loyalty and love. Date aroma: wood fern Top notes of pineapple, melon, juniper berries, mint, grapefruit note "Hearts": nutmeg, incense, pepper Base notes: labdanum, sandalwood, musk, oak moss, vetiver, cedar.